Whatever your ability, whatever your age – using CoolBoard for physiotherapy exercises can help you to overcome many injuries, new and old, as well as helping with many physical conditions such as multiple sclerosis or stroke recovery. Research has shown that rehabilitation and prehabilitation are reliant on having a strong core and joint stabilising muscles and tendons, as well as good balance and proprioception. These are exactly the areas of fitness that CoolBoard excels at. Nothing else comes close due to our patent protected movement makes it the most effective instability trainer. better stance and full foot support so it works your legs more effectively and aids confidence. 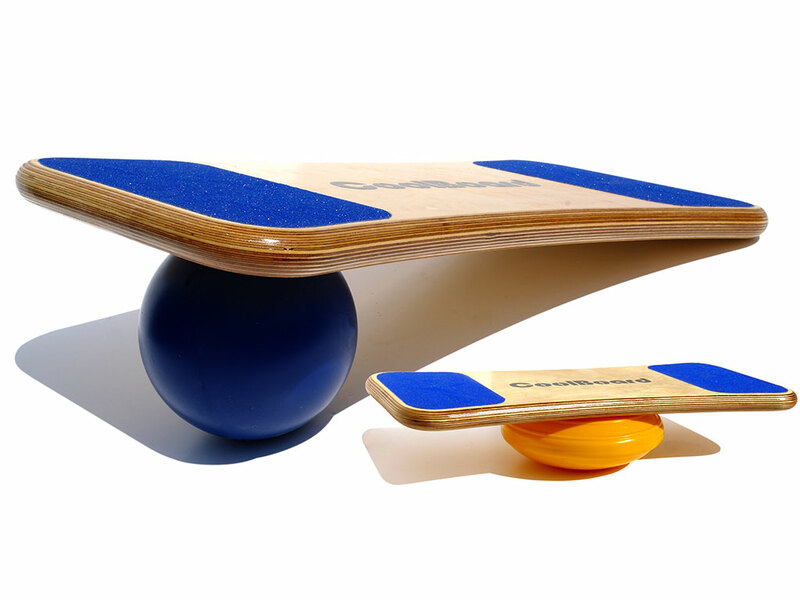 Used on the ball CoolBoard is the most effective core, joint, balance and proprioceptive trainer there is. CoolBoards unique movement offers more directions of movement than any other balance trainer which is what makes it so effective. CoolBoard not only tilts in every direction, it also slides in every direction. 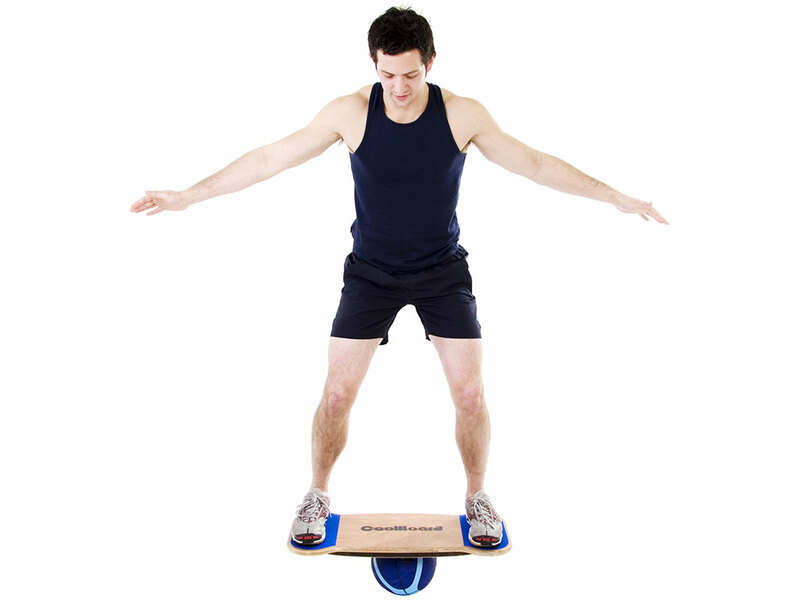 The world’s only true 360° balance board, and the best for Physiotherapy because its unique design offers more directions of movement than any other balance trainer. I’m using the coolboard mainly for injury rehab as I’ve had muscle spasms in the pelvic floor and hip for a decade. Your coolboard has been more effective than the 4 operations i’ve had and the numerous physios, osteopaths, masseurs and other professionals who have tried to fix the problem. Also I’ve gained far better levels of co-ordination in my right side now! So cheers Nic! And by being Fun and Engaging, CoolBoard physiotherapy exercises will help you stick to your routine – one of the biggest problems faced by physiotherapists and their clients! Being highly progressive CoolBoard use has helped rehabilitate and prehabilitate a wide range of people – Wheel chair users to Olympians, the elderly and stroke victims to weekend warriors. We offer a wide range of boards, discs and balls. Start on an Easy Start Balance Disc, and progress to a Ball when you are ready. This enables our uses to tailor the movement of their CoolBoard to their needs, current and future. Most people find one of our packages gives more than enough progression for their physical therapy, some people come back and get extra kit from us to really push their recovery goals or due to new injury. Discs – Being inflatable, all discs are adjustable from 1 cm thick giving a few degrees of tilt to fully inflated giving up to 45° of tilt. Our different Disc sizes give different speeds of movement and thus ability and confidence, the bigger the more stable, the smaller the more nimble. Balls – Our Pro Balls come in 3 speeds and 3 sizes. The slower the ball the less challenging, faster balls give more of a workout. Smaller balls inspire more confidence, bigger balls allow a bigger range of movement and are better for exercises. Boards – A smaller board has a smaller ring on the underside, and a narrower stance. A bigger board has a bigger ring in both directions, and a wider stance. A wider stance works the legs more, but puts a little extra strain on the lower spine. A bigger ring offers more movement when used on a ball, just be careful you don’t get it too big for your foot size. As we age our body starts to deteriorate, and without taking action this can seriously hamper how active a life we can enjoy. CoolBoard physiotherapy exercises use can help you work the specific areas of fitness that can help you to extend your active life for many years. CoolBoard use can also help you to avoid injury – known as injury prehabilitation or injury prevention, as well as aid injury rehabilitation – exercises that assist recovering from injury and making re-injury less likely. How does CoolBoard use help? If you have good balance – you’re less likely to fall. If you have good proprioception – you’re less likely to roll an ankle. If you have good core strength and strong joints – you can control your body better to avoid injury. When your ankle does roll, you won’t have time to consciously catch it, the saving is subconscious, so our internal body systems that deal with dangerous movement need working on. CoolBoard is one of the most effective and fun ways of training your balance, proprioception, core strength, and joint stabilising strength due to the unique movement it provides. Simply balancing will give your whole lower body a good boost and our exercises help the whole body. So, by using a CoolBoard for your physiotherapy exercises you will work all these areas of fitness that will help whether you wish to avoid injury, recover from injury or wish to make re-injury less likely To understand CoolBoard benefits more fully please see our ‘Benefit’ page. A fun and addictive way for your child to develop in the warmth and safety of your home. Recent studies have shown that our youth are growing up without the physical development they need to lead healthy and active lives. This has knock on effects from obesity rates to talented young sports people that sustain an injury that stops them from reaching their potential. With Physical Education (PE) taking such a back seat we need to find other ways to keep our developing children active. If we had time and good weather this would be easy… but we don’t. CoolBoard makes a fantastic fitness toy to overcome this. Young children love wobbling about with CoolBoard on our Easy Start Balance Disc. This gives valuable time in developing balance, core strength and joint stabilisation, and can be done safely inside or outside in the garden. As they develop they can start using the ball – enough to keep any teenager hooked for hours. They will feel like they’re surfing or snowboarding in their own home! And this is the beauty of CoolBoard – your child will be having so much fun they won’t realise they’re actually working out! Every show we do one of our main problems is getting the kids off the CoolBoards!